We’re on a mission to help boost growth, innovation and agility for the entire global supply chain ecosystem. This not only includes our customers—including retailers, manufacturers, IMCs, LSPs, railroads, ocean carriers and more—but also our extensive network of partners. This week, we announced our partnership with Oracle as a Platinum level member of the Oracle PartnerNetwork (OPN). Blume Global offers process and operational insights, data and our substantial network to the customers of Oracle Transportation Management Cloud, arming them with critical tools to aggressively leverage the supply chain as a strategic driver of the business. We continue to build out our ever-growing number of partnerships with key players in various industries. After all, the supply chain is an essential part of any company that provides products to end users. We aim to make this complex and fragmented supply chain industry a simplified, open and collaborative network of networks that’s both growth-focused and purpose-driven. Since 1994, we’ve built a trusted platform in the intermodal space with 5,000+ users, 4,200+ motor carriers and 300+ Intermodal Marketing Companies (IMCs) across 1,400 offices. Blume Digital Platform processes over $1 billion in annual revenue for customers with 99.99 percent billing accuracy. 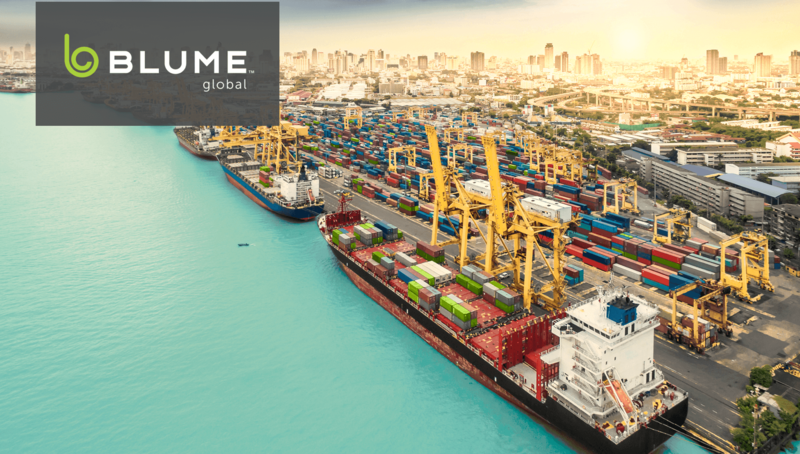 At Blume Global, we’re harnessing more than two decades of data across our vast network, together with advancements in machine learning, AI, blockchain and IoT, to deliver groundbreaking digital solutions that help our customers get closer to their customers, bring precision and agility to their complex global supply chain ecosystems, and drive new efficiencies and cost reductions into their supply chains. Case in point: Two of our customers. A leading manufacturer of agricultural and construction equipment needed to improve its service management and reduce costs. It chose Blume solutions to automate assignment of work orders, validation of motor carrier invoices and management of drayage event capture in and out of manufacturing facilities—drastically improving the company’s logistics efficiency. A top 5 North American retailer is leveraging the flowstack interface of Blume solutions to drive even better efficiencies at marine terminals. Blume solutions flowstack mechanism lets the company easily aggregate containers in one stack so truck drivers can quickly find and pick up loads. Read about our customer success stories for a leading ocean carrier, logistics service provider and railroad. We have many more partnerships and customer wins that we will be announcing soon, so make sure to stay tuned for our updates on blumeglobal.com.